Are you planning an exciting gap year? Jetting off around the world is about as thrilling as it gets, but the sheer level of organisation required can be a bit of a turn-off. This is especially the case if you’ve got a lot of belongings to put into storage! Here’s some useful tips to help you get organised for your life-changing trip. Work out what you’re taking. Before you start putting anything into storage, work out what you’ll be taking with you on your epic journey. There’s nothing worse than packing up your belongings, then realising that your trusty hiking shoes are at the bottom of an enormous sealed cardboard box. It may seem like a long way off, but eventually, you’ll return home, ready to get settled back here in the UK. The last thing you’ll want to be doing is taking on the task of sorting through lots of unlabelled boxes, without a clue as to what’s inside. When packing your belongings away, scribble what’s inside on the box’s exterior – this will really help you to get organised when you get back. If you’re lucky, you’ll have parents that are willing to let you use their attic or garage to store your stuff. However, if space is at a premium in your family home, you’ll need to find somewhere else to keep your belongings. Self-storage units are particularly useful when you’re off travelling the world. You only have to rent them when you need them, and you can also select from a range of sizes, so you won’t be paying for unnecessary space. A common approach to putting belongings into storage is to buy the hugest cardboard boxes available, and stuff as much as you can into them. Two words… big mistake! Inevitably, these unwieldy boxes will be impossible to move, and even worse, they have a tendency to split open just as you’re carrying them. Cue lots of damaged CDs and DVDs on the floor, and plenty of stress all round. Instead, pack your things in smaller, stronger boxes. On a similar note, don’t try to cut corners by using standard Sellotape. To ensure your belongings remain safe, secure and dry, you’ll need special packing tape, plus plenty of bubble wrap for delicate or breakable items. There’s a fine art to moving your belongings… and that’s to find someone to help you! Now is the time to call in favours. Ask siblings or parents for help, or rope in a few willing friends if possible. If you get really stuck, you can hire removals experts to drive your stuff to the self-storage unit for you. 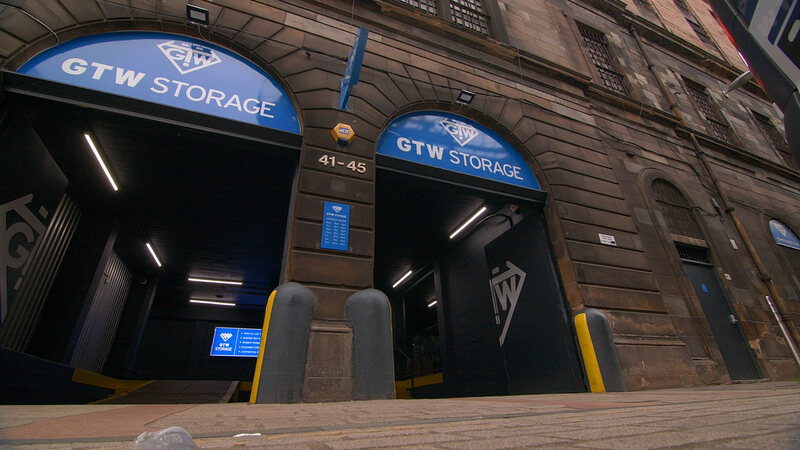 If you’re in the Glasgow area and are about to embark on the trip of a lifetime, it’s useful to know where to store your stuff while you’re away. If your parents simply don’t have the room to accommodate your belongings, check out our range of self-storage solutions here.